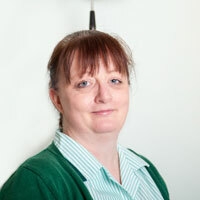 Michelle has worked at Abbey Vets for 16 years. She has a little Jack Russell called Tetley. Michelle enjoys doing crafts in her own time and regulary attends craft fayres.